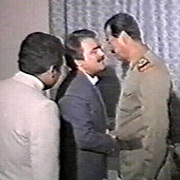 Commenting on the de-proscribtion of the Mojahedin Khalq Organisation by Britain, an Iraqi member of parliament emphasised that Iraq has never been more adamant to get rid of the remains of Saddam's terrorists. Now that the British govenment has acceped that they are not terrorists, they should take them back home immediately. It is now clear that the UK is fully responsible for any future acts of violence committed by the MKO in Iraq, Iran or elsewhere. The MKO has been and is a tool of US, UK and Israeli foreign policy and they should now take them and put them back in their tool boxes in London. The Government was tonight set to remove an Iranian opposition group from its list of proscribed terrorist organisations following a legal challenge. Counter-terrorism minister Tony McNulty said the Government had been ordered by the Proscribed Organisations Appeal Commission (POAC) to remove the People's Mujahidin Organisation of Iran (PMOI) from its list of outlawed groups. But Mr McNulty made it clear that ministers were complying with orders and did not agree with POAC's ruling. "We sought to appeal POAC's ruling, which gives a clear indication of the Government's continued position," he told MPs. "Perfectly fairly that was refused. While disappointed with that decision, we have complied with the judgment quickly to lay the order today." The PMOI was first banned in Britain in February 2001 by Jack Straw, then Home Secretary. It was described by the Government then as a group that undertook cross-border attacks into Iran including terrorist attacks, assassinated senior Iranian officials and launched mortar attacks in Tehran. Proscribed groups are outlawed in the UK and it is a criminal offence for a person to belong to, or encourage support for, a proscribed organisation. It is also illegal to wear clothing that arouses suspicion that a person is a member or supporter of a proscribed organisation. The Tories tonight said they understood the Government's position and would not oppose the motion to remove POAC from the list. The legislation to repeal the ban was being rushed through both Houses of Parliament tonight, following the successful legal challenge in May. The Terrorism Act 2000 (Proscribed Organisations) (Amendment) Order was approved by the Lords after a 42-minute debate. It is due to come into effect later this week. Mr McNulty said although the PMOI currently described itself as a "non-violent democratic movement", there was "no doubt" that it was responsible for some "vile acts of terrorism" stretching back two decades prior to 2001. "These were not acts attributed to them by the Iranian authorities," he said. 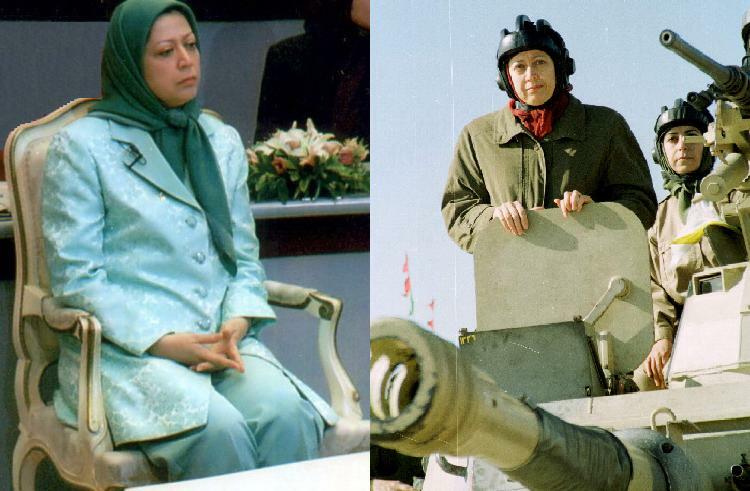 "The PMOI admitted responsibility for a number of horrendous crimes carried out against the Iranian people, both civilian and military targets." Shadow home affairs minister David Ruffley said the Government had been "forced" to take the PMOI off the proscription list by both the POAC and the Court of Appeal. "This is required of the Government and should we be in that position, we would have a POAC decision, which they sought to challenge in the Court of Appeal," he said. "They did not get leave to fight another day and therefore were obliged by law to bring forward this order. "We would be in no different position to the minister. We are supporting him for the reasons he has given." Mr Ruffley added: "The history of proscription gives the impression that the executive of this country does have serious and grievous concerns about whether or not this organisation has in fact renounced terrorist tactics." The advice that ministers were receiving from intelligence authorities clearly gives them "pause" with regard to deproscription, Mr Ruffley said. Labour's Andrew Mackinlay (Thurrock) said it was an "embarrassing day for the Government" and claimed the decision to proscribe the PMOI was an act of "appeasement". He said: "I think that the Government has foolishly and recklessly been motivated by a desire to appease the unappeasable, namely the regime in Tehran. "They have not executed their obligations, both in law and which are dictated by common justice, that they should look at the evidence when deciding whether or not to continue the proscription of the PMOI." Liberal Democrat spokesman Chris Huhne said: "I hope that we have not had foreign policy considerations brought to bear on what is a matter of defending freedom of speech, freedom of activity, freedom of organisation in this country." Backing the move to end proscription, he said the Government appeared to have been "extraordinarily dilatory" over the issue. Mike Gapes, Labour chairman of the foreign affairs committee urged ministers to keep the issue under review in case there was any breach of the conditions. "We need to be sure that any organisation in this country is only involved in peaceful and democratic activities," he said. David Amess (C Southend W) accused Mr McNulty of a "disgraceful and churlish" speech, insisting the Government must recognise the PMOI as the "legitimate opposition" to the Iranian regime. "This is a matter for rejoicing for all those people who want freedom in Iran and a matter of shame for the Government that it's taken so long to bring this Order forward," he said. 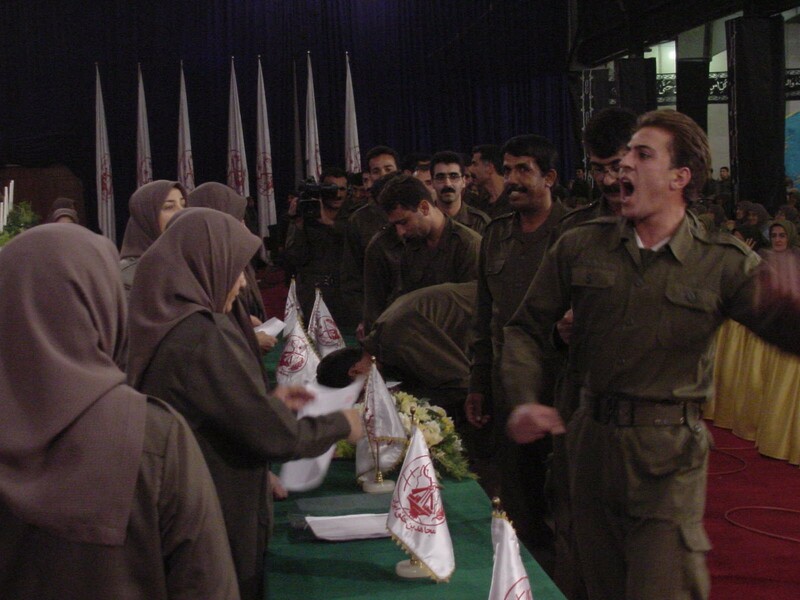 Mr McNulty said no one had argued that the PMOI was not a terrorist organisation when it was originally proscribed. "The notion that somehow we are dealing with some wonderful little gang of democrats who've never raised arms or terrorist action at all is erroneous and not the case at all." He warned that the Government would not hesitate to re-proscribe the organisation should circumstances change and evidence emerged that it was concerned with terrorism. There were currently no plans to proscribe the National Resistance Army of Iran - despite a press report to the contrary, he said. The Order was approved without a vote. Earlier in the Lords, Home Office whip Lord Bassam of Brighton, responding to demands for an EU-wide ban on the PMOI to be lifted, told peers: "I think it would be strange if they did not follow our lead." The ban was challenged by a 35-strong group of MPs and peers, many of whom took part in tonight's debates. Lord Bassam dismissed a report in today's Times newspaper, alleging that ministers would seek to circumvent the court order by banning the PMOI's military wing. He told peers: "There is no basis in fact for the conclusions that the article draws, nor for the headline. "We refute any of the suggestions put forward in the article. There is no intention on the part of the Government to in any way circumvent the effect of the Order to deproscribe, which is the suggestion made, effectively, in this article." There was unconcealed joy in the Lords chamber when the Order went through, with one peer starting to applaud and several of those who had campaigned for the PMOI shaking hands and embracing each other. Lord Bassam had told peers that the PMOI had agreed in 2001 to renounce violence but it had not made any public statement to that effect. It had maintained an "extensive arsenal" at its base at Camp Ashraf in Iraq until the camp was surrounded by US forces in 2003. The previous Home Secretary, while acknowledging there had been no attacks since 2001, had taken a "cautious" approach and had not been satisfied that the renunciation of violence was any more than "a temporary cessation for pragmatic reasons". Baroness Hanham, for Tories, said that under the circumstances, the Government had no alternative but to deproscribe the organisation. Liberal Democrat spokesman Baroness Harris of Richmond, one of the 35, declared: "After so many years of waiting, so many years of campaigning, so many setbacks and frustrations, at last our Government has seen the light." The ban was now being lifted, she said, "despite the fury of the Iranian regime and the threats of dire consequences should the Order go forward". Labour's Lord Corbett of Castle Vale, who chairs the British Parliamentary Committee for Iran Freedom, said: "This Order rights a great wrong done to the 4,000 members of the PMOI, part of Iran's resistance coalition. "They sit in exile in the deserts of Iraq because the theocratic regime slaughtered 120,000 of their friends and supporters." The real terrorists, he argued, were the Iranian Revolutionary Guards. "This Order will give new hope to those millions inside Iran who cry freedom and want to see their country as a respected member of the international community rather than a pariah," said Lord Corbett.